A fast paced, 45 minute look at the week’s most entertaining news stories and trending topics on social media. Find us on Twitter: @jodynscott. Huge show tonight with Emily from TUSCL.net walking Scot through some Gentlemens Club tips and Tricks. We spend WAY too much time talking about Kiefer Sutherland’s new country western song. Jody is continuing his soft transition with a couple of new life changes. And tons of news from this week. 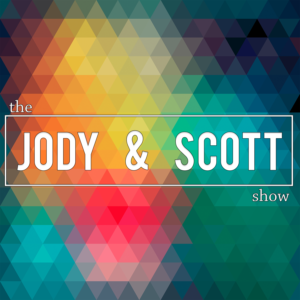 Be a JodyAndScotter – Join the List.